Every year, the President of the United States has issued a proclamation announcing National Small Business Week, which recognizes the critical contributions of America’s entrepreneurs and small business owners. More than half of Americans either own or work for a small business, and they create about two out of every three new jobs in the U.S. each year. While San Francisco Small Business Week falls unders the National Small Business Week umbrella, it is held a few weeks after. So, check out everything happening this week for National Small Business Week nationally and in Oakland and San Jose (May 1-7). And then get ready for the largest Small Business Week celebration in the country happening in San Francisco (May 21-28) in just a few weeks! 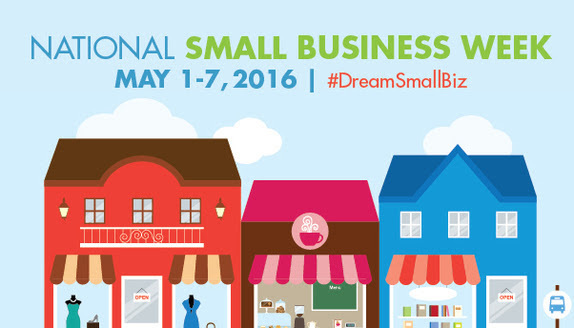 The City of Oakland will mark National Small Business Week (May 1-7) with a variety of workshops and events. Join us as they celebrate Oakland’s vibrant small businesses and nurture them. For more information go to http://www2.oaklandnet.com/sbw. We hope you’ll join us for San Francisco Small Business Week on May 21st – 28th to celebrate and connect with our small business community, take advantage of all the tools to thrive and grow, and Tap into the Opportunity to make your mark. Find your resource at the Flavors of San Francisco event on May 23, or network at one of the many events happening that week, or take advantage of one of the 43 free workshops on important topics at the Small Business Conference on May 26.